Let's Go to Meotomatsu by Spring Bus!! 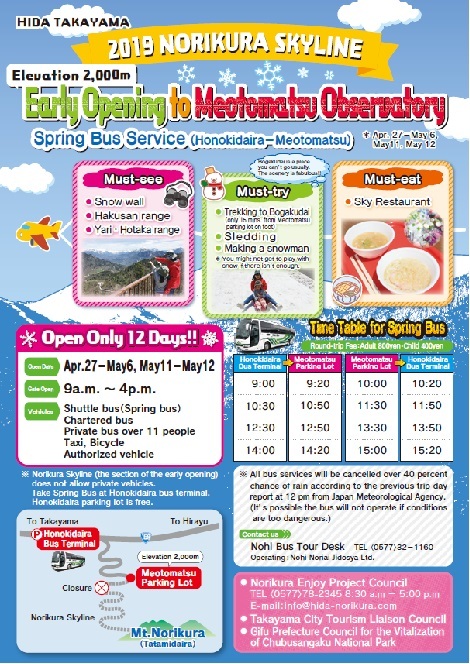 You can go to Meotomatsu at an altitude of 2000 meters by bus. The Last Snow remains there in Takayama. Let's enjoy playing in the snow! Let's enjoy a super view!